OBJECTIVES Gas flow measurements play a very vital role in petrochemical industries and process plants. Flow measurement and control is an essential requirement for assuring the quality as per the relevant standards and the safe operation of the piping network and personnel involved. The course is designed to deal with all the relevant aspects of gas flow measurement and control and will also cover the new technological developments in the field. 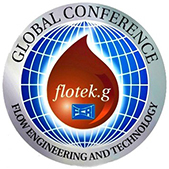 • Flow Meters : Orifice, Turbine, Ultrasonic, Coriolis Principles, Applications, Installations, Calibration. TARGET GROUP Personnel from Mechanical, Instrumentation, Chemical, Petroleum or Electrical Engineering with a background of Industrial instrumentation and control in gas flow measurement and related field. Participants may be from gas industries, flow meter manufacturers, other related industries like refineries, power plants, fertilizers, R&D organizations or academic institutions.